Note to my reader, this a press release from Dragonsmeet for the game Odin Quest. I didn’t wrote it so might notice that they don’t do the same spelling mistakes I do. I don’t receive any money from them or what so ever. Enjoy ! you ready for the challenge? 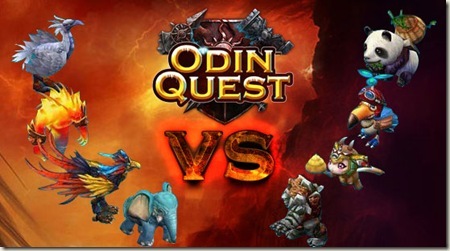 There are various Dungeons in Odin Quest. Players will act different roles in different dungeons to achieve various goals. It’s never tiring for players to gain all kinds of materials, equips golds. and EXP that they need in Odin Quest while having various fun and excitements in dungeons with friends. team. These pet teams, after signing up, will join the weekly Pet Competition and fight against others. Different team setups will lead to different results. It’s a competition of wisdom and strategy. Can your pet win the championship and get the ultimate rewards? The magic land can never be peaceful again. 5 classes of heroes must fight together against the evil power. 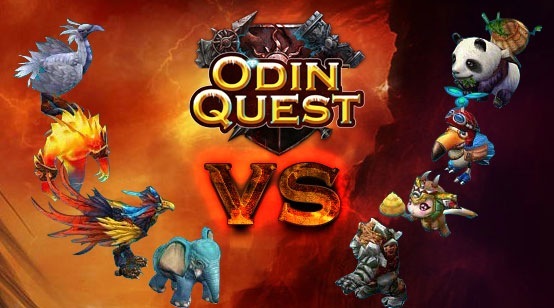 Get your sword and magic ready, choose between bright and darkness, and make your history on Odin Quest!